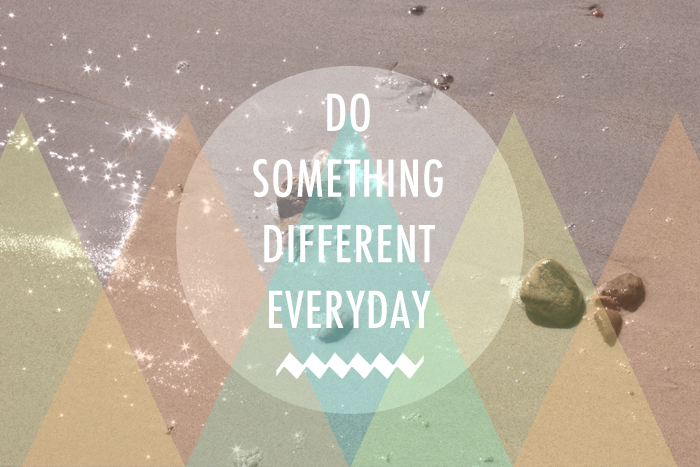 For March See Hear Say is challenging us to do something different every day. It doesn't have to be anything drastic or even entirely new, just find little ways to shake up your routine: take a different route to work, try a different coffee flavor, or okay, maybe push yourself to try something new and exciting at some point during the month. The goal is to make your regular activities fun again and possibly discover something new to love. Personally, when things slip into habit I don't even realize that I'm doing them when I do. I walk out of the house and suddenly find myself at the train station, the entire walk there a blur. Sometimes I can't even remember brushing my teeth! Hopefully shaking things up in just one little way each day will also help you stay more present in the moment. Visit See Hear Say to learn more about the March challenge. Love this idea! I'm up for the challenge! !